Israel merits a pat on the back following the announcement that this year’s Nobel Prize for chemistry was awarded to Tel Aviv-born Technion professor Dan Shechtman, father of the new field of quasiperiodic crystals. As a nation we’ve earned a respite from our daily litany of grumbles and gripes. We’re a small country with almost everything possible going against it. We inhabit a minuscule strip of harsh topography, with no natural resources to speak of and an arid climate to boot. Moreover, we aren’t allowed to inhabit this inhospitable sliver of land – in which we literally built everything from scratch – in peace. We’re repeatedly besieged, boycotted, attacked, threatened with outright genocide, delegitimized and demonized. This would constitute a cumbersome load for any undersized nation, though none has been subjected to anything approaching our still-ongoing travails and dangers. Yet despite it all, we are a tiny set-upon nation with no fewer than 10 Nobel prize-winners. In less than a decade we have amassed a staggering total of six hard-core Nobels – all in sciences and economics – Daniel Kahneman (economics, 2002), Avram Hershko (chemistry, 2004), Aaron Ciechanover (chemistry, 2004), Israel Aumann (economics, 2005), Ada Yonath (chemistry, 2009) and Shechtman (chemistry, 2011). We need to factor into these statistics the reality that during our first decades of independence it wasn’t bon ton to honor Israelis. Shmuel Yosef Agnon’s 1966 Literature prize was the lone harbinger. Honors are still bestowed on our topmost achievers grudgingly. We’re obliged to do better than others to win equal recognition and yet we seem to do quite nicely despite the handicap of who we are. Though we’re undeniably a nation given to excessive self-criticism and self-flagellation, the award of the latest Nobel to Prof. Shechtman ought to justify at least a brief let-up from our habitual carping and allow us to luxuriate in some eminently well-deserved self-congratulation. It would do us well to gain a sense of proportion and look around us to be able to better gauge the achievements of our diminutive, beleaguered yet nevertheless excelling collective. We won’t even get into the great mystery of how the infinitesimal and widely dispersed Jewish nation as a whole had produced such a disproportionately large representation of Nobel winners altogether (incredibly numerous laureates in other lands are Jews). Additionally, some countries even covet honors bestowed upon Israelis. Hungary claims Hershko (who spent his first 12 years there, including the dark Holocaust period). Germany lists Aumann (from which he fled at age eight) and Belarus bizarrely counts as Belarusian Nobel laureates Israelis born in those sections of Poland annexed post-World War II to Belarus. Thus it catalogs as its own Menachem Begin (peace, 1978) and Shimon Peres (peace, 1994) – regardless of the fact that neither ever had the remotest connection to Belarus except for an accident of birth in a region then under another geopolitical jurisdiction. If we turn our gaze to our own region, our distinction shines forth all the more impressively. We’re surrounded by the Arab realm with its astounding natural resources, dominating a vast portion of this planet (greater than the entire continent of Europe and the USA put together) and with an immense population as a potential reservoir of resourcefulness. But our minute Israeli island of democracy, ingenuity and scholarship produces an incomparably greater contribution to human learning and innovation. We – both as Jews and as Israelis – are too few to figure even as a marginal statistical error in world population figures, yet we persevere and excel despite matchless adversity. Shechtman’s own road to the Nobel embodies our oft-downplayed collective tenacity. When Shechtman first published his theories, they were much too nonconformist and revolutionary for their time. He suffered merciless ridicule for his ideas. Ridicule transformed into out-and-out hostility. Shechtman was roundly maligned in the global scientific community. Even ostensible friends distanced themselves from him. But in science at least – as distinct perhaps from statecraft and international diplomacy – truth eventually has the last word. 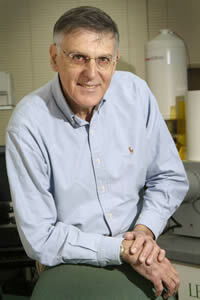 Today the production of hundreds of crucial synthetic materials hinges upon Shechtman’s discoveries. Pertinent as always..a real pleasure reading you! try to build their empires on lies. I’m not at the moment at home in Israel, and the time differential gives me the opportunity to wish you and your loved ones Khatima Tova and Gmar Khatima Tova. I couldn’t but remember the late Winston Churchill (not particularly a friend of Israel, but still) saying: “Never was so much owed by so many to so few”. We, Jews and Israelis, have “hoarded” too many Nobel (and other) prizes, thus exacerbating the ubiquitous anti-Judaism that has and still pervades the world at large. And will keep on doing so for who knows how long. Not a modest thought at the time of atonement, when we should be taking stock of our shortcomings. A redux to avoid any possible misunderstanding. The Hon. Winston Churchill was not referring to the Jews of course. He was referring to the Royal Air Force. Not so fast, sometimes. Besides, this is a rather tiny consolation for millions of suffering people who might prefer better and more regular water supply to any Nobel dream. Some forty to thirty years ago, it was not true: Israel was admired by all the world – and secretely, even by Arabs. Why not to ask ourselves what happened with our glory ?